Unabridged. 5 CDs. Narrated by Adam Verner. The Church of Facebook will move readers toward understanding God's work in the body of Christ, the church, by introducing thought-provoking questions through observation, humor, and heartfelt storytelling. 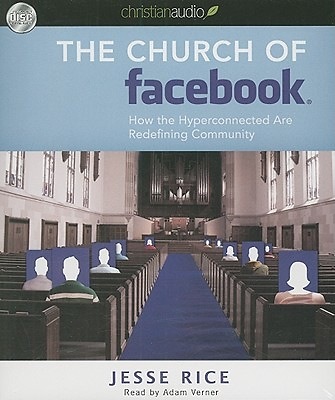 It will also do this by challenging readers to consider new perspectives in regard to their social networking habits and how those habits may point to deeper heart issues and, ultimately, our hunger for Jesus. Jesus was particularly skilled in asking revolutionary questions that got people thinking and living differently. And it's when we wrestle with the hard questions and rejet spoon-fed answers in place of hard-won truth, growth happens. Healing happens. Redemption happens.